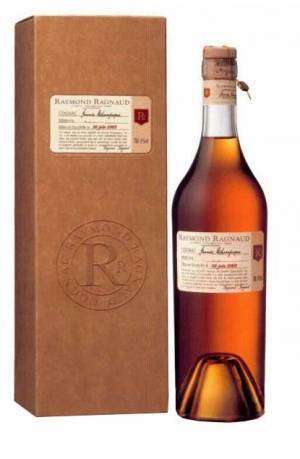 A Raymond Ragnaud single Vintage Cognac distilled from the 1994 harvest only and from the Grande Champagne area exclusively. The Ragnaud family owned in the 1860s a small vineyard in Grande Champagne de Cognac, which wasn’t yet classified Premier Cru, but recognized by every professional at the time, like the region’s best Cru. It ended up being classified Premier Cru later, based on its exceptional qualities. At the time, like now, the vineyard was planted in Folle Blanche and Ugni-Blanc varieties, which resisted to phylloxera, a mortal disease that reached at the time the whole Cognac wine lands. 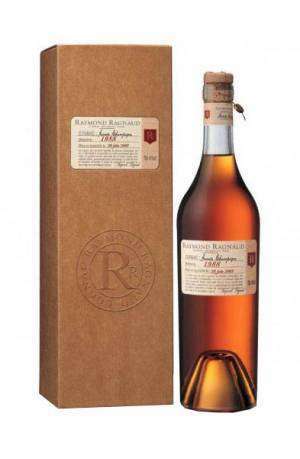 In 1920, Paul Ragnaud settled in the Castle of Ambleville, followed in 1941 by his son Raymond, who decided to create the Raymond Ragnaud brand by bottling the inherited spirits under his name. In 1963, his wife with help from her two children, Françoise and Jean-Marie, enhances the vineyard with consecutive acquisitions, to reach 47 hectares dispatched on 3 properties: Ambleville, Criteuil la Madeleine and Lignères-Sonneville on the famous chalky hillsides of the Grande Champagne region. For 30 years, Françoise Ragnaud-Bricq, truthful to her ancestral roots, manages the three vineyards by continuing with the family traditions and expertise, settled in Ambleville for more than 150 years in the Grande Champagne Premier Cru lands.